Mechanics • If you do a technique 100 times you will understand its mechanics. Your brain will comprehend how to do it correctly, and why the movement is valuable. Natural • When you do a technique 1000 times it will become natural. This threshold is passed when the movement feels right in sparring. The movement becomes part of your combat portfolio. Instinctive • Once you do a maneuver 10000 times then it enters your subconscious. The movement can now be executed without thinking about it. and applies to the highest levels of professional fighting. It’s important to clarify that these movements must be done correctly for it to successfully traverse the 100-1000-10000 evolution. Counting doesn’t begin until the technique is done correctly. Doing a maneuver incorrectly leads to bad habits that are hard to break. If fighting requires surprise and spontaneity, why practice repetition? A fighter needs repetition in order for a new technique to enter the subconscious. Once that is achieved a fighter no longer needs to think of the technique because it’s apart of them. It’s as close to “instinctive behavior” as possibly achievable. Instinctive maneuvers are the end-game because the moment a fighter “thinks” of performing an attack, defense, or anything in between – then telegraphing occurs and time is lost. An experienced fighter can exploit this delay. Reactionary measures in times of stress, emotion and chaos are worsened, if not completely lost. Practicing a move mitigates this weakness because the “thinking” component is removed from the fighting equation and the movement becomes instant. Repetition is a challenge for students, and especially taxing on millennials. In a one hour session, even 50 reps challenge the patience of students. Reaching 1000 requires grit, endurance, and resources that fall amongst the most dedicated. Striving for 10000 is reserved for the elite among us. To finish off, it’s worth mentioning that the 100-1000-10000 rule can be easily applied to other disciplines – e.g. 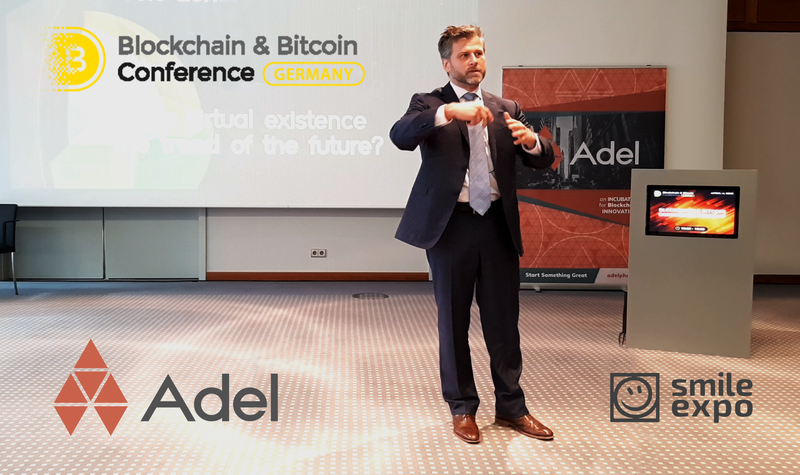 dancing, learning a musical instrument, software development to name a few examples, and can be a representation of time (100-1000-10000 hours) with the same effect. Each martial art has a set of pre-defined techniques. These are typically defined by the founder as a collection of traditional moves. In progressive styles, these techniques evolve over time. I like to refer to a fighter’s portfolio of movements as “degrees of freedom“. New degrees of freedom adds to a student’s portfolio. For example, a boxer has two basic striking tools: their fists. Although limited in this regard, their degrees of freedom is vast. I’ll explain this in a moment. A kickboxer, on the other hand, is restricted to four striking tools: both fists and both feet. In Muay Thai, there are eight attack vectors – since elbows and knees are added. Kickboxers have twice as many striking tools as boxers, and Muay Thai practitioners have double yet again. In street fighting there are no limits – strikes may come from headbutts, foot stomps, and other nasty attacks. 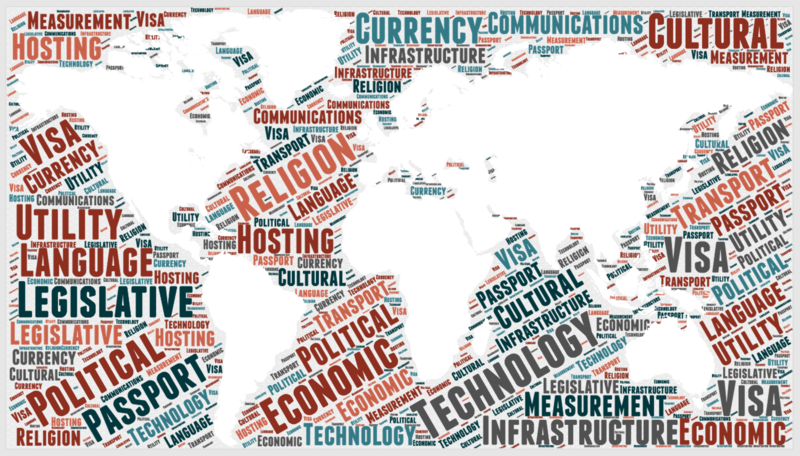 But degrees of freedom extend beyond a style’s striking tools. Every combat sport can be broken down to a granular level of attack vectors, defensive moves, and maneuvers. Let’s say that a kickboxer has 100 degrees of freedom, meaning that they have 100 ways of moving, defending, and attacking. A boxer, on the other hand, may have 500 degrees of freedom. How is this possible when they have only two attack vectors? It’s because boxers learn to “dance”. They are experts in slipping, bobbing, weaving – in and out of range. A kickboxer learns how to play with distance, but doesn’t learn the intricacies of phone-booth fighting at such a granular level, compared to a boxer. For example, a Karate Ka learns forward, backward, and side to side movement, but doesn’t learn the hook (punch), nor do they learn to slip. Where a Karateka learns to block, a boxer prefers to slip because they consider blocking a waste of motion and adds delay to their counter-strike. For this reason, many martial artists facing boxers are confronted with movements completely foreign to them. For every maneuver, a boxer may know five to ten more. This gives the boxer much more latitude in how they dance in and out of their opponent’s range. A boxer is well versed in “phone booth” fighting. In this close range, they are most powerful. But against a kickboxer, a boxer has challenges of their own, since they need to watch for foot attacks. In a confrontation, the kickboxer wants to maintain distance, while the boxer wants to slip into phone booth range. A boxer knows that in close range the kickboxer has few degrees of freedom, and this is a weakness they want to exploit. A good boxer can confuse their opponent to the extent they have no idea what to expect, and when or where the next attack will occur. They can “hypnotize” their opponent with movement. Understanding your opponent’s strengths and weaknesses is an essential part of combat sports. 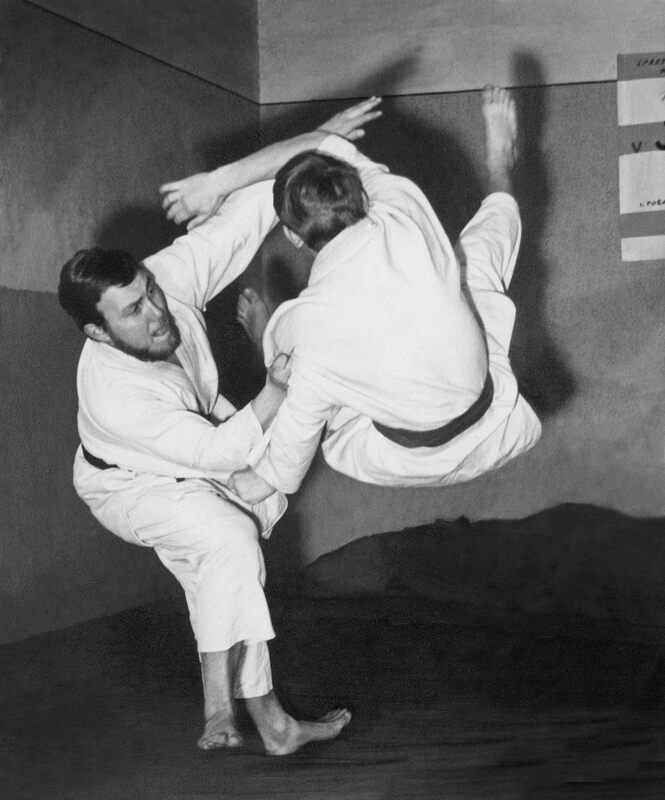 In classic martial arts, tradition overrules transformation. A traditional martial art may significantly restrict a student’s degree of freedom, effectively creating a glass ceiling. They are only “allowed” to learn a set of moves, specific to that style. Traditional approach says, “in our club, we do techniques this way, so you need to learn our way”. In this sense, tradition overrules progressiveness. Modern martial arts, such as MMA don’t restrict learning, dispelling the notion that there is a right or wrong way to a given technique. MMA assesses a technique on the merits of its effectiveness as compared to techniques that preceded it. Each technique is challenged in real combat. Progressive martial arts works on the premise that, “currently this is the best techniques until someone comes up with a better one”. 3. The pure speed that a fighter’s muscles and physique possess to execute an attack. Learn to read your opponent: Their movements, the techniques they use, the style they use. Do they telegraph their movements? Meaning, a little foot shuffle before kicking? Do they twitch before punching? Do they hold their breath before exerting energy? Do they load up on their punching, otherwise known as “cocking the gun”?Telegraphing can take on many forms – listening to the opponent’s breathing, watching them tense their muscles, observing needless movement before executing a strike. All of these signals giveaway an attack. Keep a poker face, and don’t give away your next move. The ability of a fighter to “explode” into an attack with minimal movement, no telegraphing, makes them faster. Learn to anticipate the movements of your opponent: Which movements or attacks do they consistently repeat? How can you exploit those repetitive movements? Repetition is good in training, but not good in sparring. In fighting, repetition leads to well-versed opponents using an opponent’s repetition to their disadvantage. Does good technique make a fighter faster? To a certain extent – Yes. But speed is about reaction time and getting a fist or foot from their home position (in guard position), to the attack position (fully extended and connecting with the target). This is the third aspect mentioned above, and age, talent and athleticism play key roles. I teach students to attack with explosiveness and surprise, as if they are catching a fly. Catching flies requires relaxing, exhaling, and then reacting without thinking. The fastest fighters learn to move without thinking because they have practiced the move thousands of times. When a fighter needs to think of their next move, their reaction time for their brain to tell their fist or foot to move will take time – especially in front of an experienced fighter who has the experience and muscle memory to execute the same move. This statement is poignant from a few perspectives. First of all, the conspicuous avoidance of a perfect score. Any good fighter can be knocked out by an average fighter. We’re not perfect beings. Through life, we may strive for perfection, but we also need to be practical. That leaves us with 90% of the time when technique wins. That there are few caveats to mention. For instance, a powerful opponent may know a few good techniques. This needs to be a consideration in an altercation. They may not have fighting experience, but we can’t underestimate any opponent and assume they have “no” experience. Misunderestimating an opponent is one of the top reasons why fights are lost. Another aspect that mitigates this statement is when the size of an opponent overshadows in weight and muscle. A 150kg Goliath has a sizeable advantage over a 70kg David, and a winning strategy of the smaller opponent will require a balance of several factors: strengths & weaknesses, speed, vs. agility, and confidence vs. psychology. We will explore these factors and many others, throughout this “Fighting Science” series. One practicality is that most humans have the same head size and weight. Most human heads weight around 4.5kg regardless of how heavy they are. Why is this important? Mainly because knockouts in combat are typically from punching laterally to the chin of the opponent. An accurate hook to the chin can bring down most fighters, regardless of their stature. Through nearly 20 years of watching UFC fights, I would estimate that 80% of all head knockouts are from a hook to the chin. I was unable to find exact statistics online, but if anyone has these details, please leave a comment below. 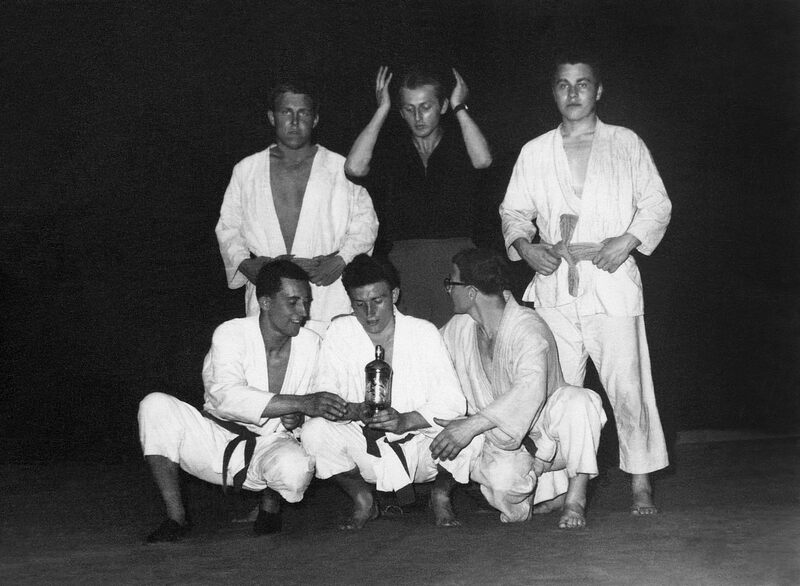 • All three Dusil brothers were active in Košice judo until they emigrated in 1968 and 1969. 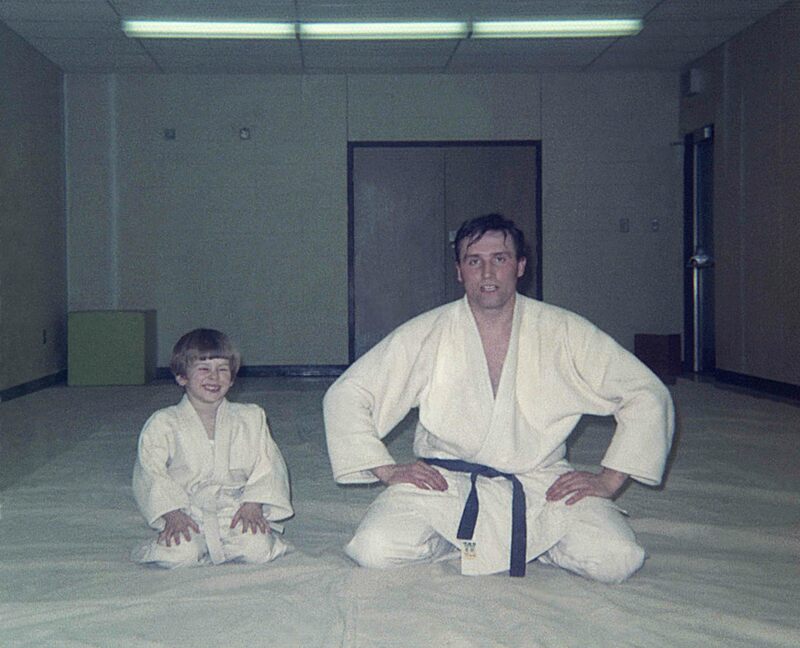 Two years after our arrival my uncle and his family moved to Hamilton, Ontario, Canada and began training at the Kawasaki’s Rendokan Judo Academy. 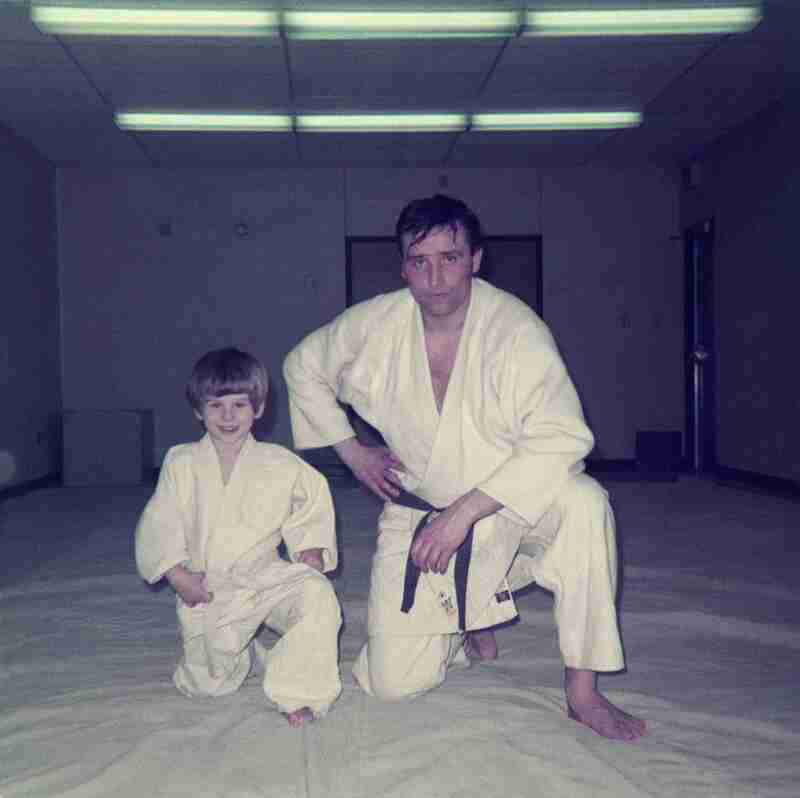 We moved to Burlington in 1973 and my father joined him, to train under Sensei Kawasaki. Mitchell Kawasaki was a elite athlete, representing Canada in the 1976 Summer Olympics in Montreal, Quebec, Canada in Greco-Roman wrestling. I also trained at the Rendokan Academy with my cousin Roman, but we mainly fooled around at the back of the dojo for most of the session. • When I turned fifteen I decided to take up martial arts again. My attraction was to the striking disciplines rather than grappling, so I decided to try Karate. 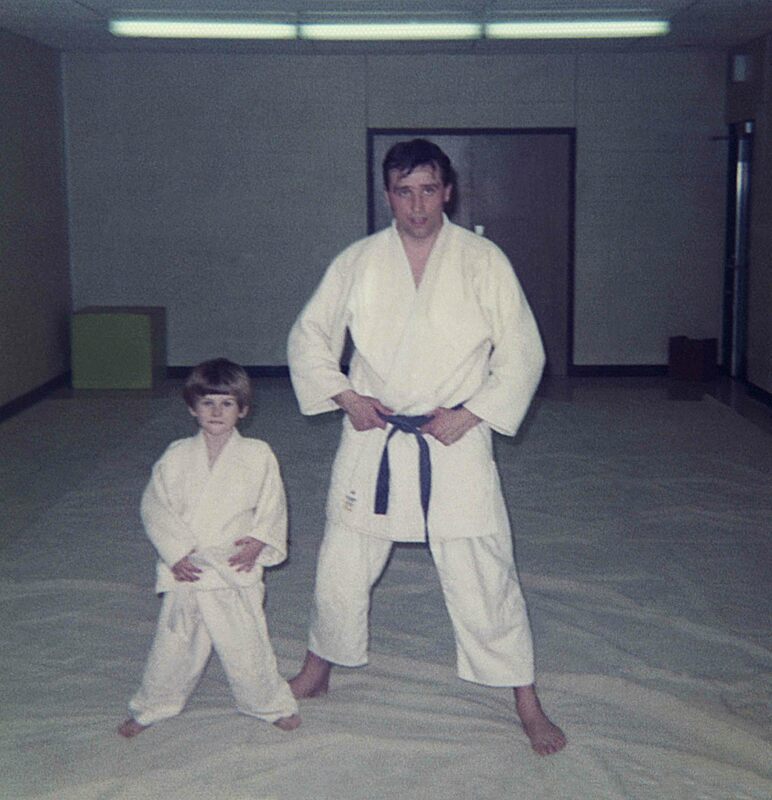 It just so happened that my mother’s painting instructor’s husband, Ray Davis, was a Shotokan Karate (松濤館) Sensei. He held a fifth dan black belt at the time. On my first day Sensei Davis gave me a personal lesson. That was uncommon, since normally a blue or brown belt would teach a beginner on their first day. I was hooked from the start. After four years I graded for my black belt in my final year of high school. My training continued throughout university. 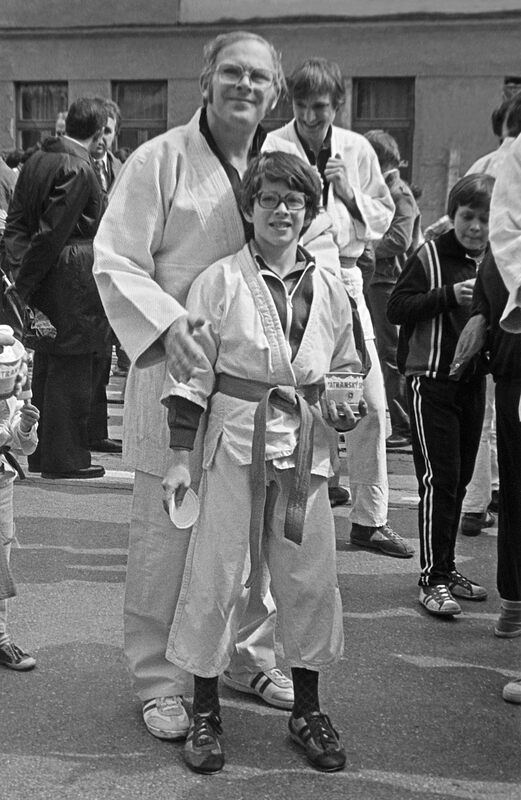 • In my final year of university studies I met Jim Flood, a world champion martial artist, also with a background in Karate. He had recently opened his own club. For the next two years I trained at Floods Positive Impact Martial Arts in Hamilton. I taught children and adult classes as well. It was the best training facility in the region. Tuesday were memorable because Jim would invite black belts from any school, to come and spar for free. In the early 90’s before Mixed Martial Arts (MMA) began, it was a unique chance for us to learn from different styles. It was a positive and motivational atmosphere. Jim had us check our egos at the door. 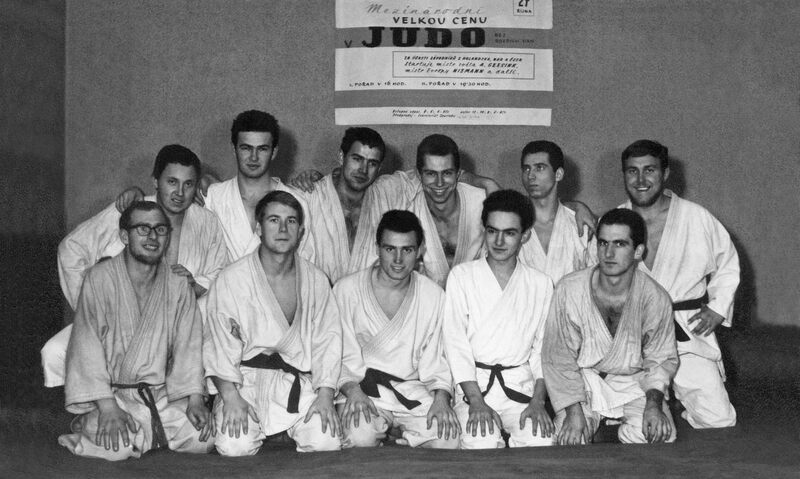 • Judo and the judoka of Košice shaped who I am today. I decided on my university education thanks to my coach Kajo Dusil, who thoroughly prepared me for my entrance exams to the Technical University Faculty of Metallurgy. The School of Economics, where I went did not adequately prepare me for technical school. 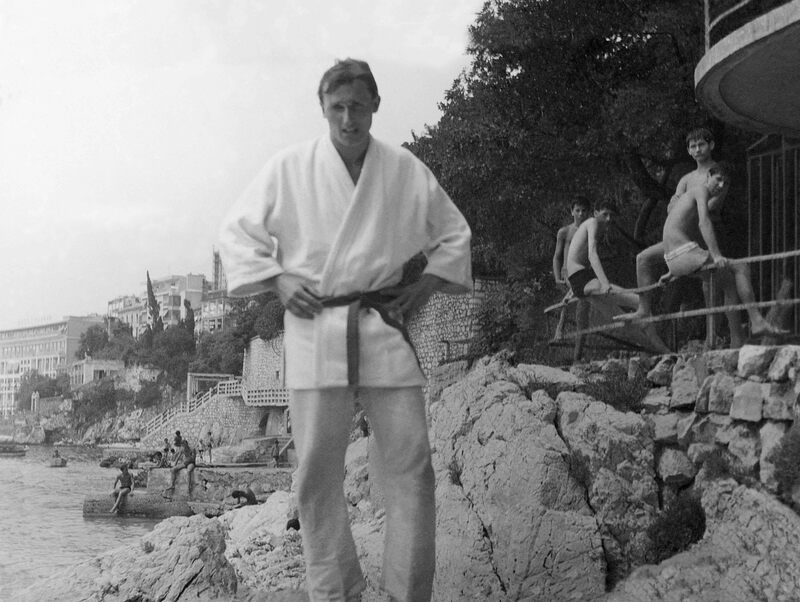 • When circumstances permitted, I tried to assist the Košice Judo Association in later years. 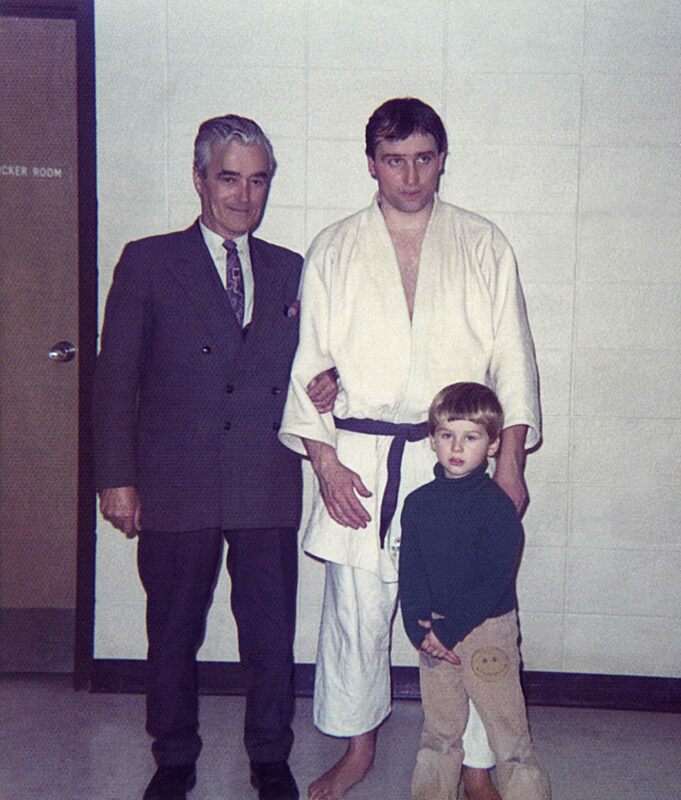 In September 1978, I celebrated ten years as president of the Regional Association of Judo. I succeeded Edita Pačajová-Kardosová who stepped back to the mat as a trainer. I handed off this role to Marta Ujjobágyiova-Kelemenová and Erika Tordová-Királyová. At the time, women’s judo was completely separate from the men. The women were part of Lokomotíva Košice and men trained primarily in TJ VSŽ (Telovýchovná jednota Východoslovenské železiarne). 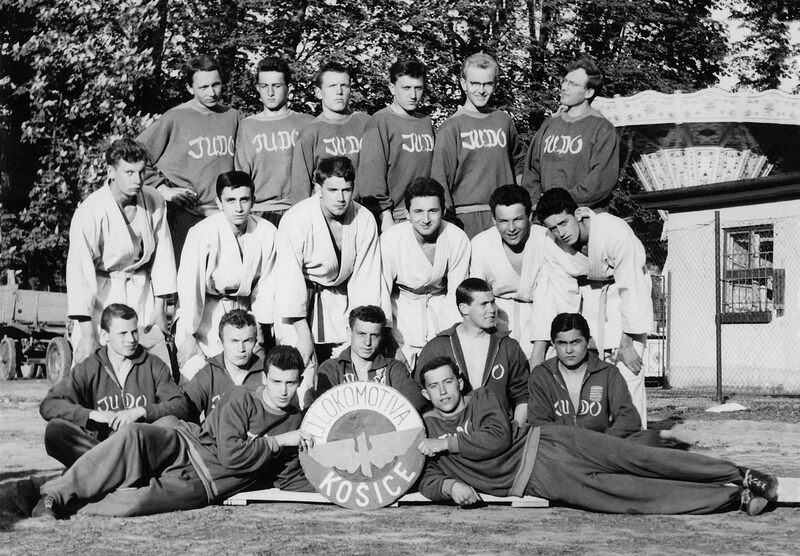 I often offered my coaching assistance to the men’s team of Košice Judo. Helping me extensively were Laco Pačaj, Peter Széky and Jaro Plávka. Summer camps for the girls were organized by Csaba Kende. I coached periodically until 1992, before leaving for Bratislava to work. Then I raised my coaching qualification to class II, and graded successfully for my first dan, black belt. • In judo I held various roles, such as chairwoman of the political-educational Commission for the District Judo Association, which at the time of the totalitarian regime was extremely important and had been one of the most important evaluation criteria for the sport. 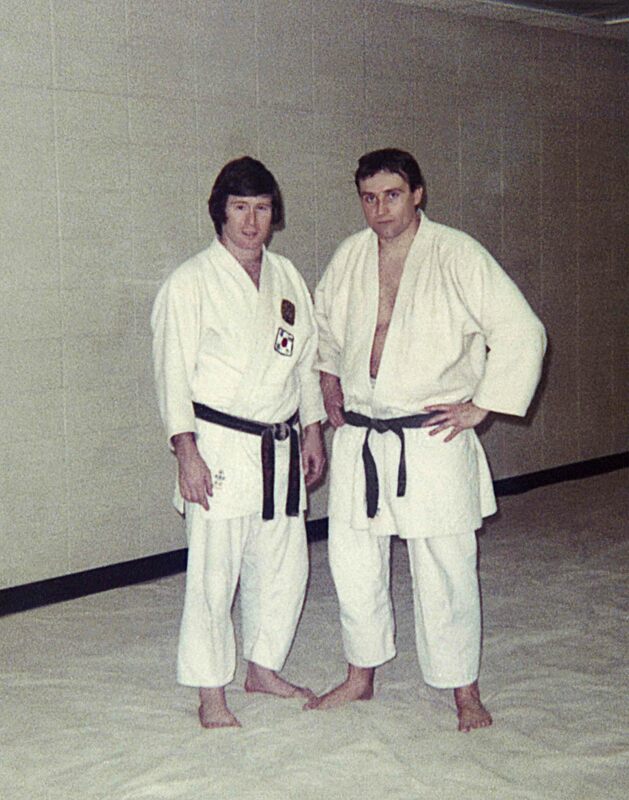 I worked as the President of the Judo Association and in that time we formed a joint association with karate. 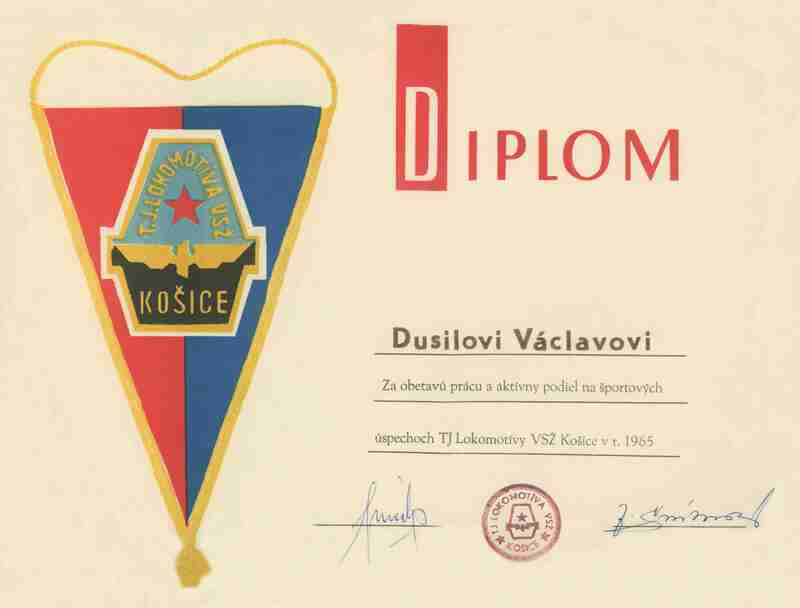 The Slovak Association of Judo awarded me an honorary second degree black belt for my contribution. At the elementary school in Barca (where I take my grandchildren) I led the judo team. I have now fulfilled my dream as a grandmother-judoka. • It’s not my objective to just document the facts. These are my personal experiences and memories that others might remember differently. In closing, I must thank all judoka who shaped me, helped me and who are still my good friends. 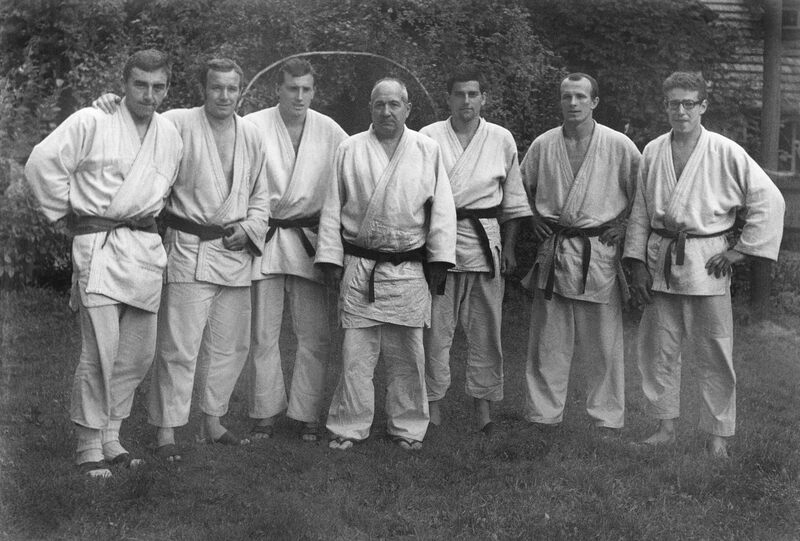 Mainly; Erika and Kajo Dusil, my lifelong friends; Csaba Kende, who devoted one summer for the preparation of my first dan black belt, and coached me through the final stages of my class II coaching certificate; Jaro Plávka who was my partner in my black belt grading; Laco Pačaj and Peter Széky who helped me in coaching, and with many other activities. • In 1962 the girls received their 5th kyu (yellow belt). 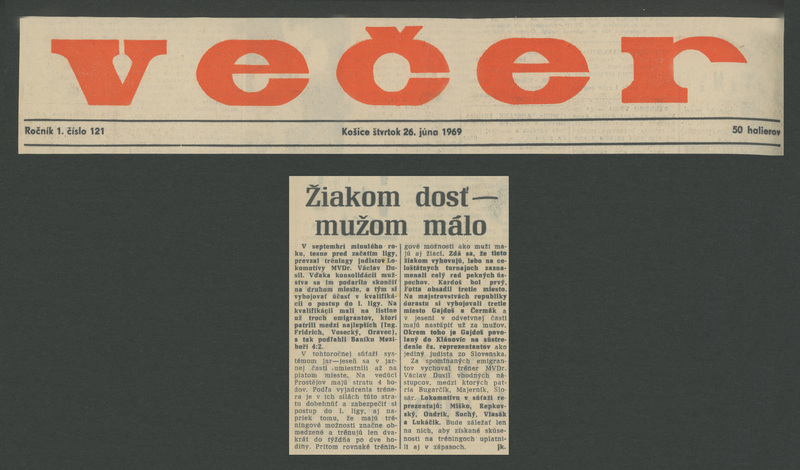 At that time Košice did not have qualified examiners, so Ing. Robert Binder came from Bratislava. 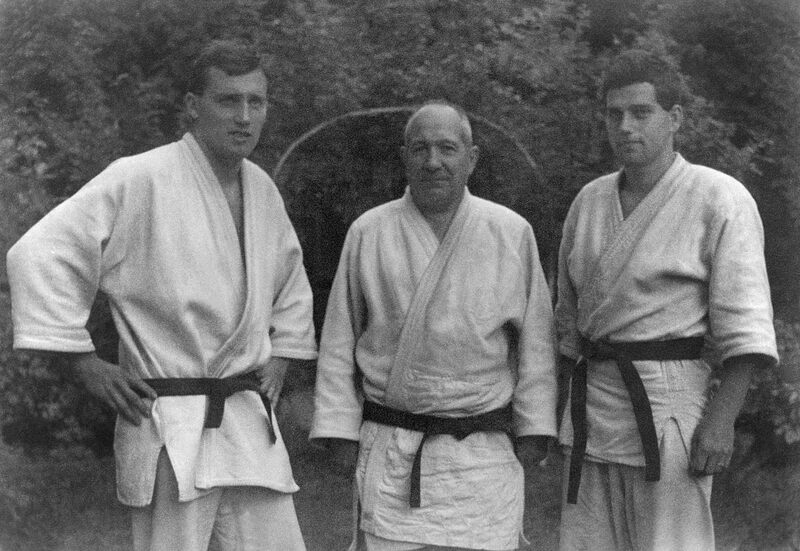 He was the founder of Slovak judo, and now over 80 year old. For me the event was significant because we were told that Mr. Binder was a very charismatic gentleman. He explained to me that judo is primarily for intellectuals and that I chose my sport correctly (at one time in my life I seriously flirted with running instead). • I couldn’t have chosen better that the 14 years I dedicated to judo. After 45 years I can say that objectively. It was wonderful to belong to a team of smart boys and girls that were considerate, independent and responsible. After all Kajo, our coach, was only two or three years older than most of us. It was the same in the men’s team. Kajo not only secured the training schedule, but all organizational, financial and administrative issues related to the sport – and later with the Regional Judo Association. 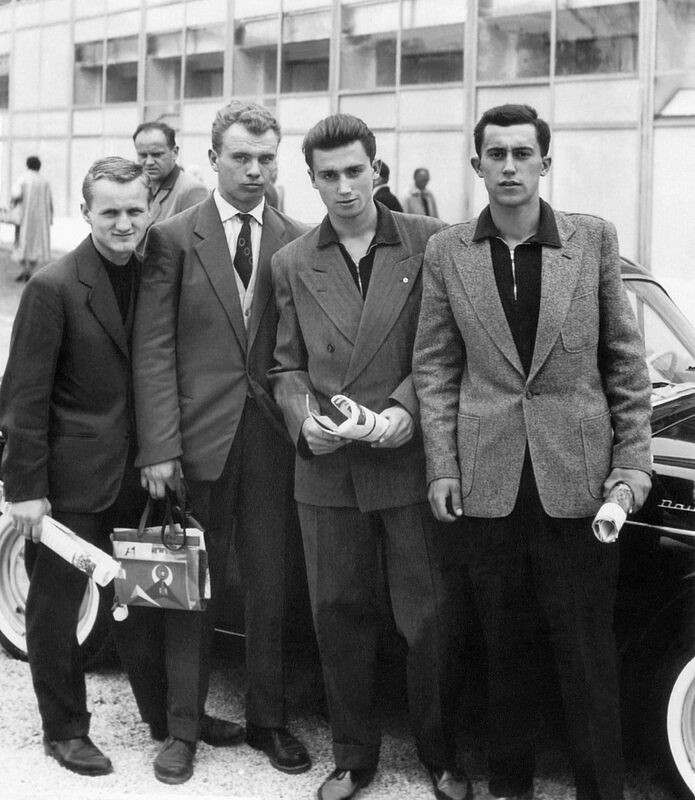 Most issues were managed by the three Dusil brothers: Robert, Vašek (unfortunately no longer with us) and Karol. When problems escalated, some of us were asked to help. I was among them, as well as Igor Fridrich. I transcribed meeting minutes and various reports that were required by the totalitarian regime. 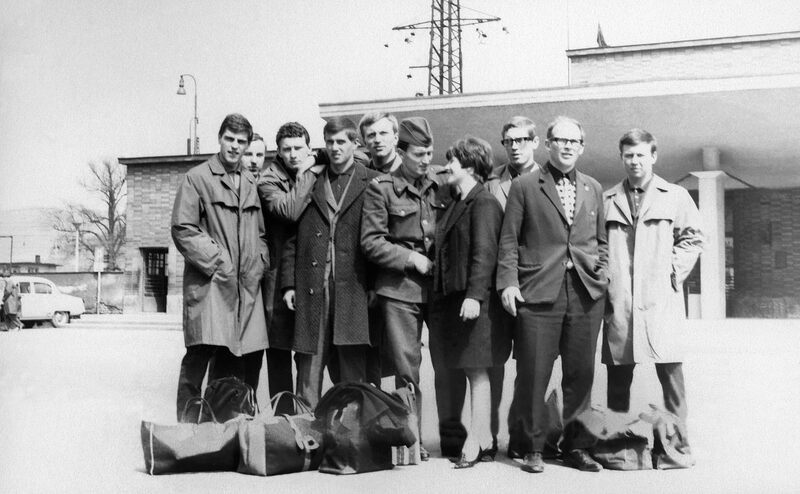 When Robert went to study in Sweden in 1967, Igor Fridrich took over management of the Regional Judo Association. • I was never a successful competitor, but that did not hinder me, as I felt at home with the team. Kajo was in charge of all women’s age groups and performance categories, and very soon I also began to participate in coaching duties. I taught judo throws and basics to hundreds of girls. Before reaching the age of 18 I became a judge and a class III trainer. These positions sat with me more than the role of competitor. 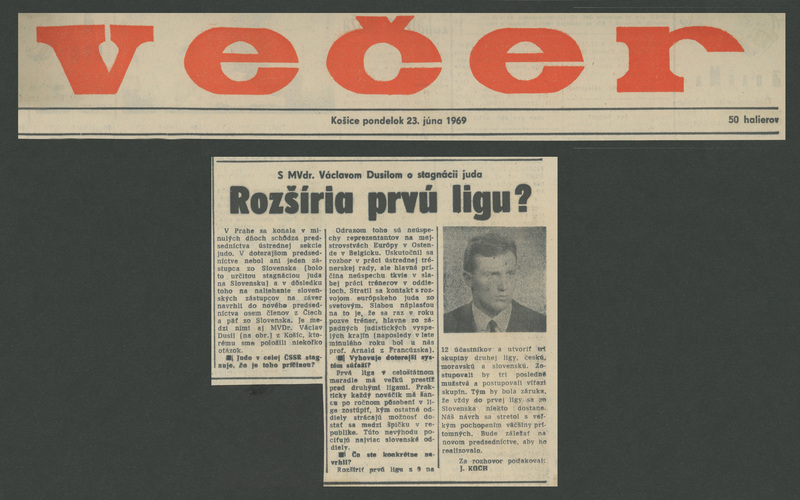 Vašek Dusil was in charge of coaching the men, and when he had other responsibilities, I’d take over. • In addition to the activities in Košice, we promoted and established judo in other towns across Eastern Slovakia. 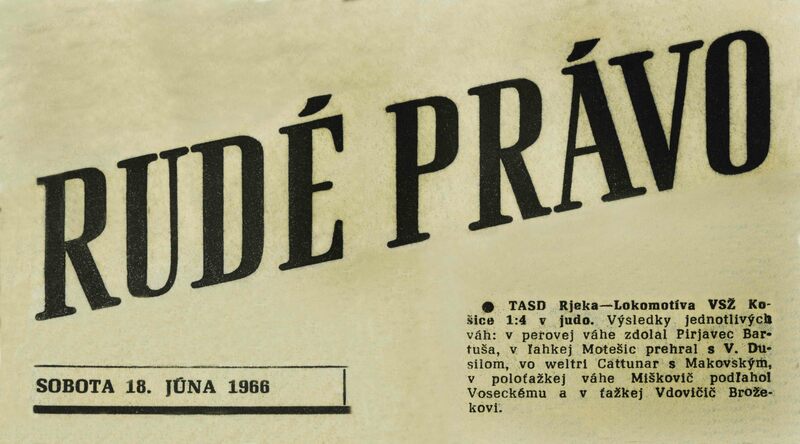 Erika Mešterová-Dusilová and I came from railway families; we had permanent rail tickets and would go and train girls at the Central Pedagogical School (Stredna pedagogicka škola) in Prešov. We were still in high school. Great promotional events were organized in Michalovce, Slovakia and we combined that with a trip to Vienna. Our accommodations were in someone’s garage. Guarding the boys from the girls was of course, Kajo. 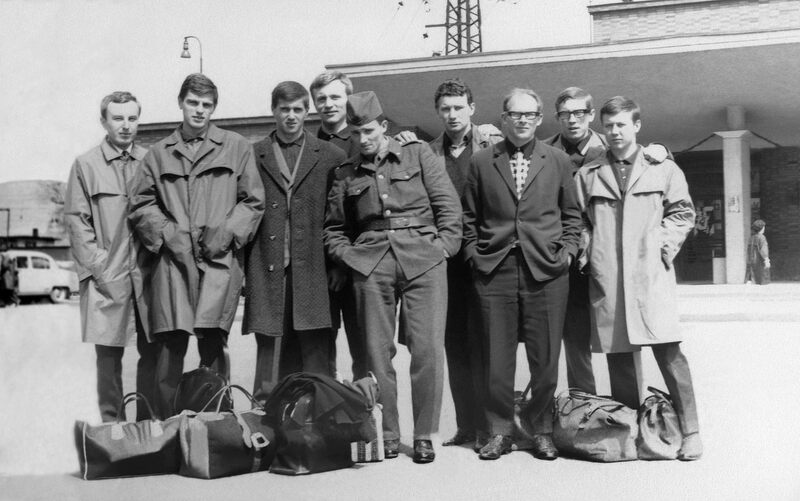 As part of TJ Lokomotíva we were allowed to travel across all of Czechoslovakia. We used that to great effect and attended many competitions. If the girls weren’t competing we simply accompanied the boys as fans and observers. 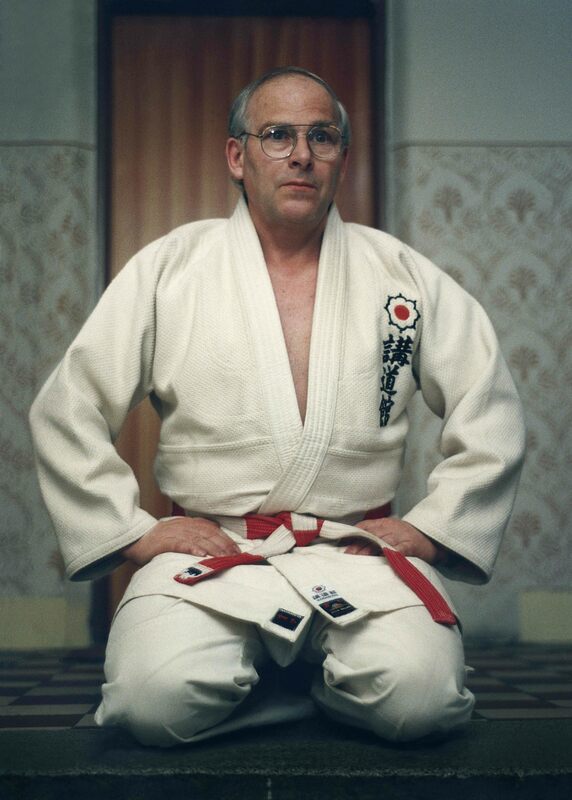 • I started judo in 1961. I was an economic student and my classmate and best friend Erika Mešterová persuaded me to try the sport. At the time our judo facilities were in a small building in Petrov Sad, Košice. We had to share the facilities with the TJ (Telovýchovná jednota) Lokomotíva Košice wrestlers and boxers. The room where we practiced was covered with soft mats, more suited to wrestling than for judo. The building wasn’t heated so in the winter when we came to train, the mats were covered with a layer of frost. We had to wear socks on our feet, otherwise our feet would freeze. In such cold facilities no one took it easy during training. Everyone wanted to warm up quickly with a lot of movement. After training we showered under ice-cold water. 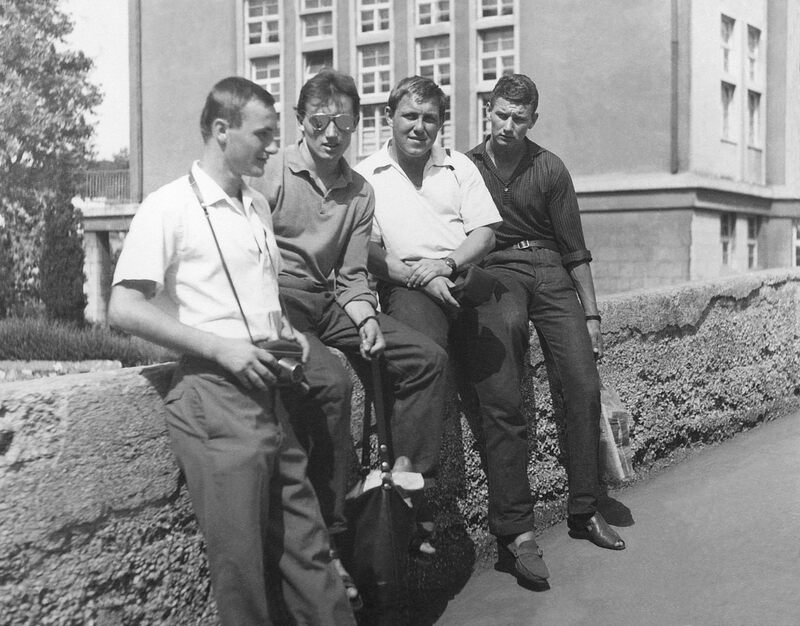 • After completion of the indoor swimming pool in Košice in 1963, our building became part of the swimming community, so we no longer had a place to train. 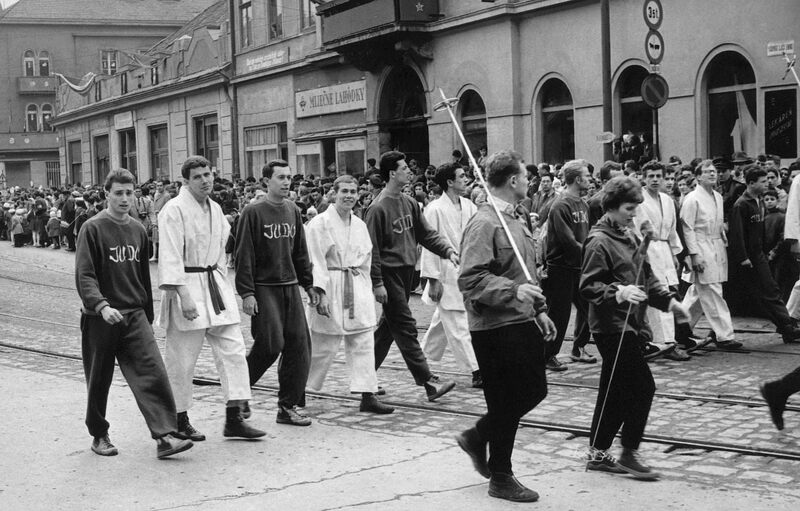 In early September the team organized a march in the center of town with a goal to find a new gym. 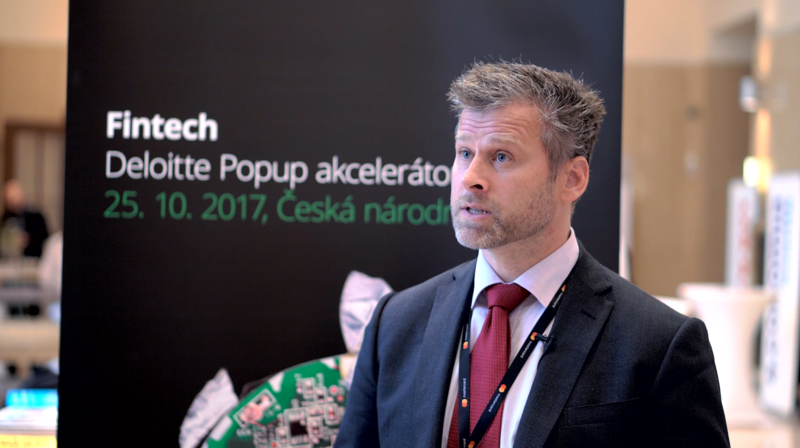 The event was a success and for some time we rolled around in Room 4 of the Technical University’s dormitory on Vysokoškolska ulice (street). 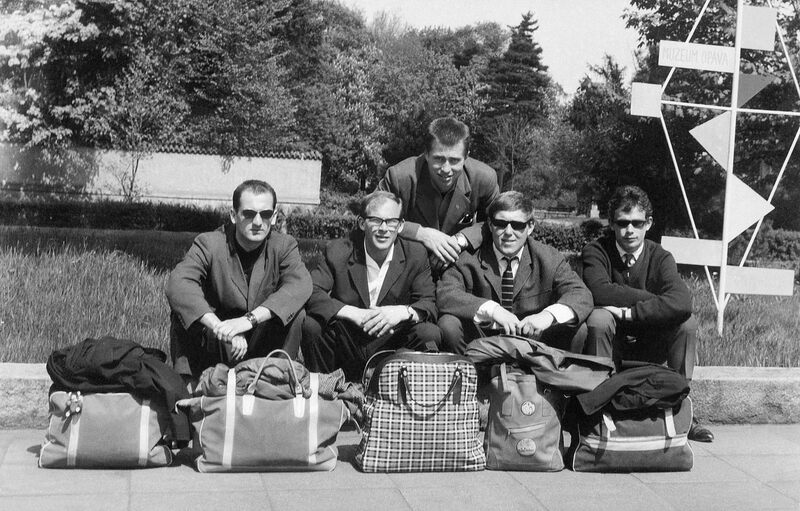 Later we moved to the school gymnasium on Gemerská street. We also bought our own mats, ordered by Robert Dusil somewhere in Bohemia. The training facilities weren’t only for judoka so we only had a few reserved hours each week. The girls needed to train with the boys. 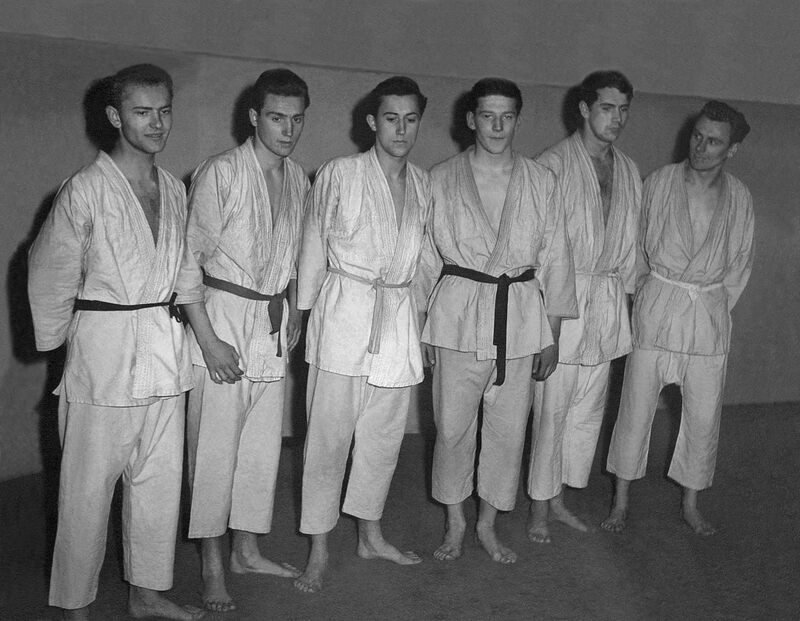 Men trained under the guidance of Vašek and Robert Dusil, and the girls were under the leadership of Karol Dusil. Each workout started with laying the mats and stretching the canvas. 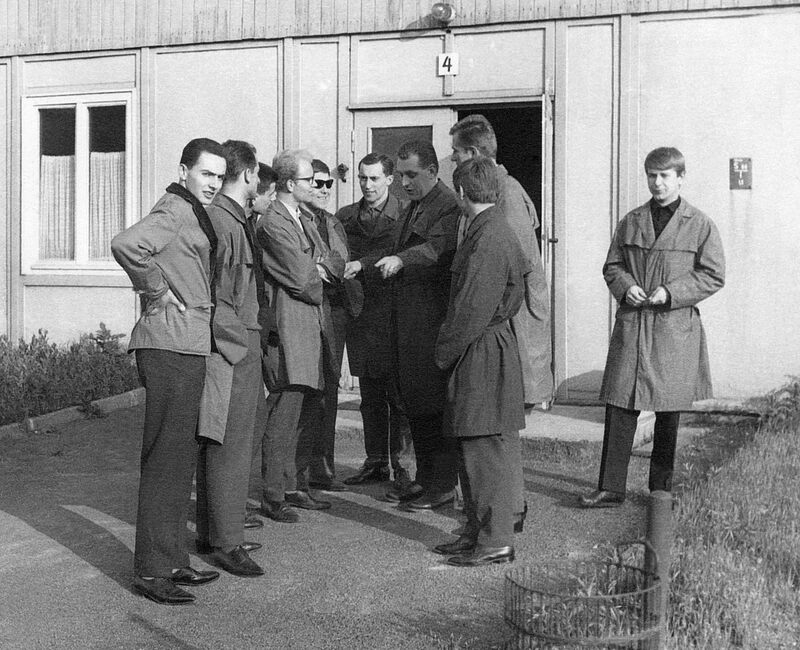 • The following school year we moved to the Cadets facilities on Komenského ulici. There we had separate training from the boys, and never trained with them again. In later years we also trained on Podhradová. 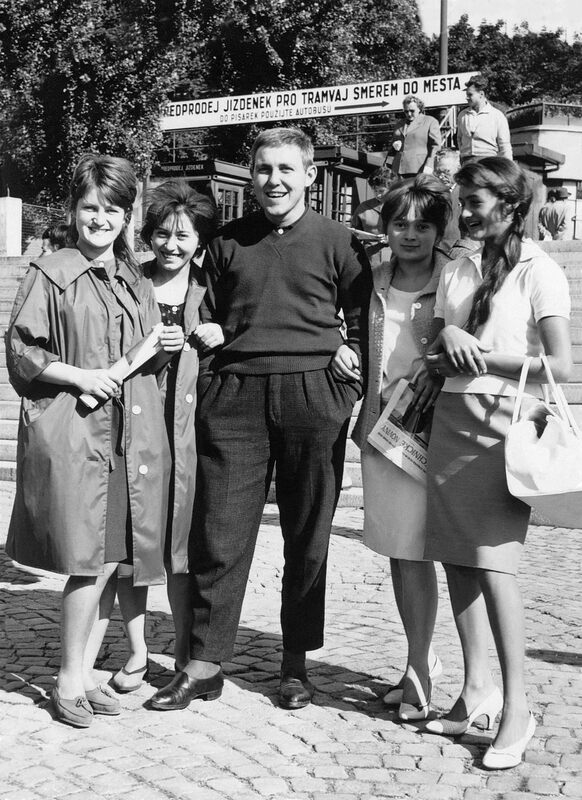 When I first arrived, the girls were trained by Juraj Mazánek, aka. Hoszu. After a short time he was replaced by Dušan Halász, who we called Marmot. 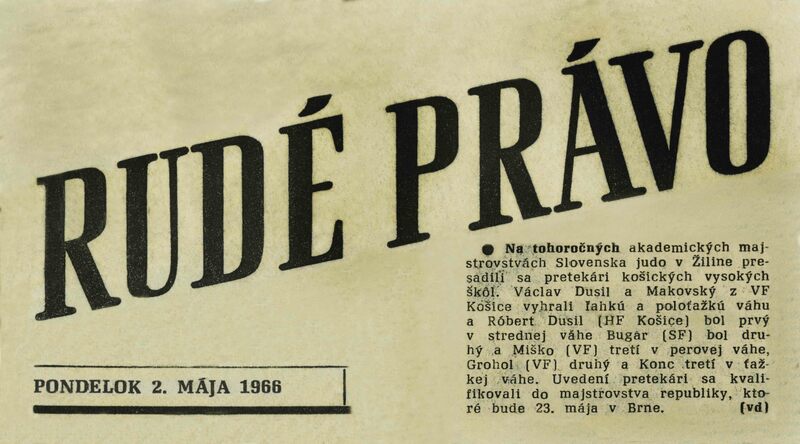 When he departed to military service Karol Dusil took over. Kajo, as we all called him, gave his entire soul to coaching. 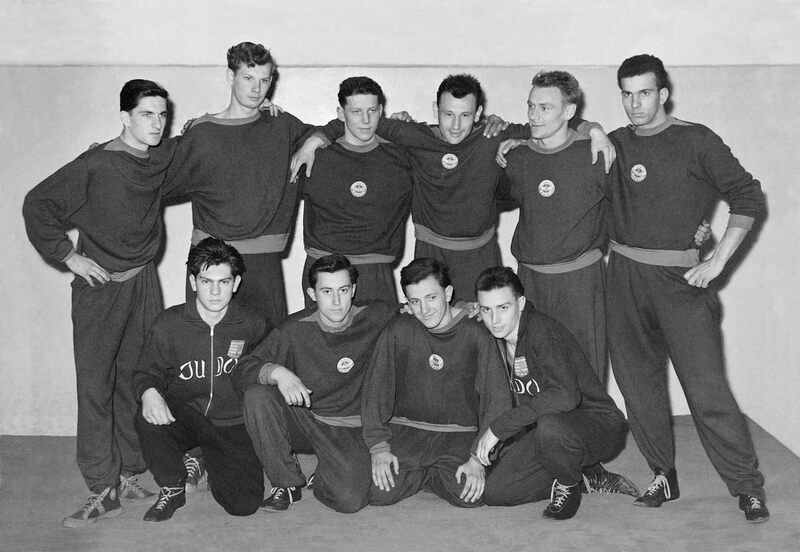 The first championships titles for Czechoslovakia were awarded to Julka Tóthová in Nuremberg, Germany in 1962 (Unfortunately she is no longer among us). 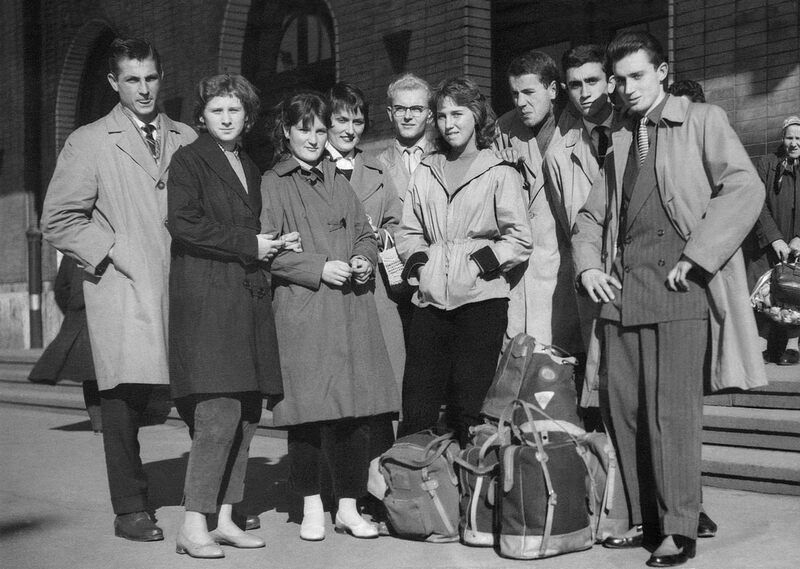 Next champions were Božena Glaubicova-Mikušákova and Hanka Demáčkova in Košice in 1966. 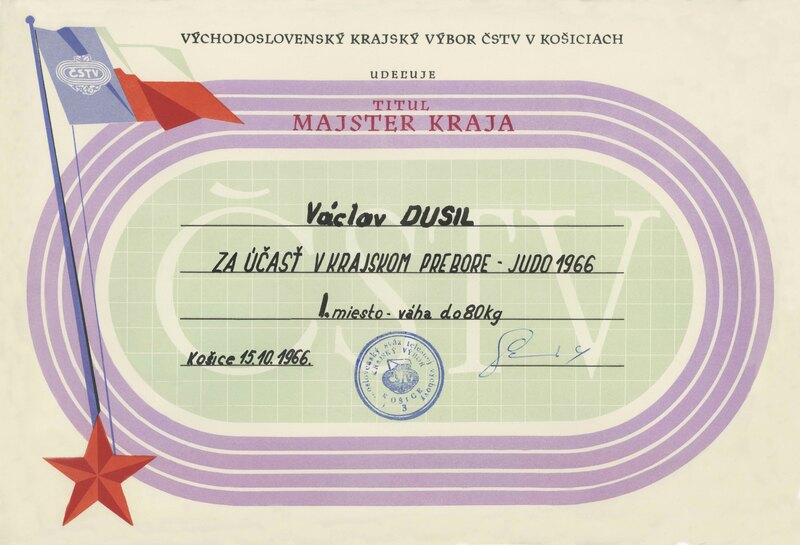 The most successful year for women’s Košice judo was in 1967. 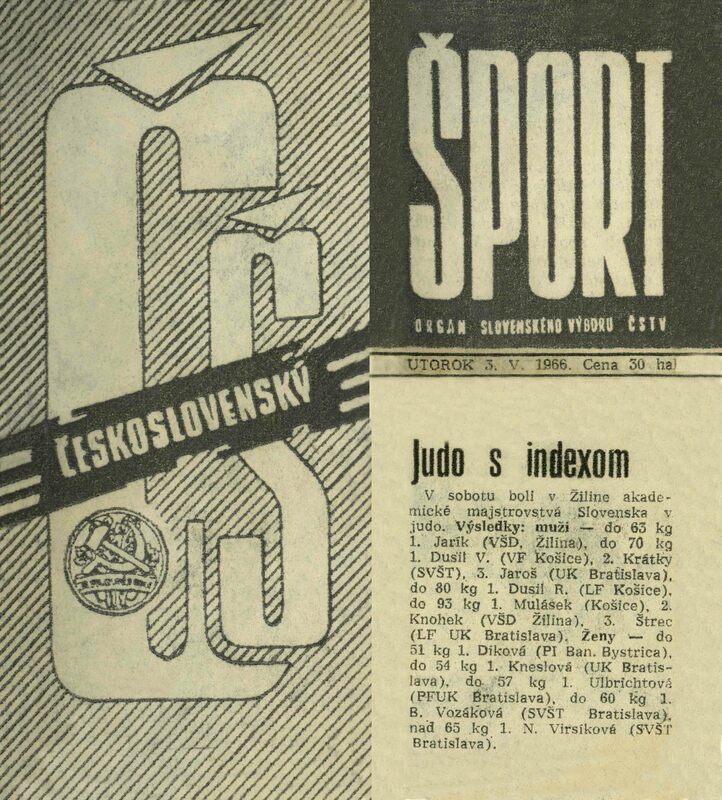 The Czechoslovakian championship that year was held in Žilina. Winning in their weight classes were Juca Ujjobbágyova, Erika Tordová-Királyová, Valika Zelenayová-Záhradníková and Maja Polončáková. 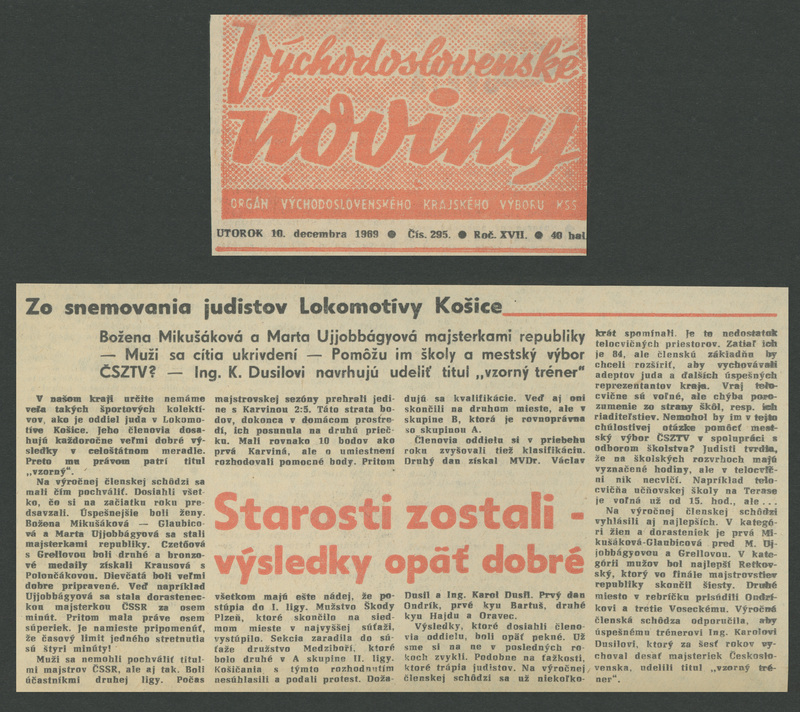 In 1968 in Prague, additional championship titles were won by Milka Kojecká-Mišková and Božena Glaubicova. Gold metals were also awarded to Marta Ujjobágyová and Magda Antolíková. 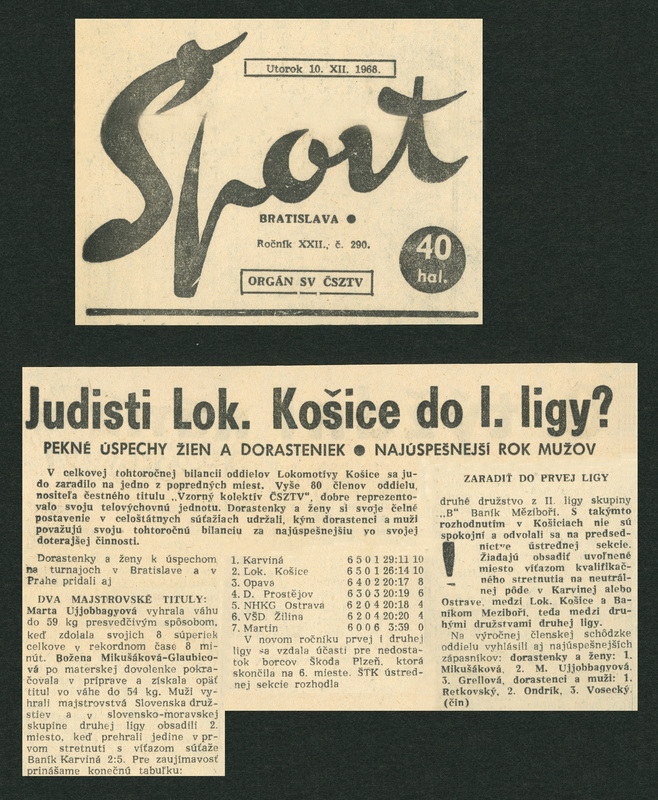 At that time, Košice women’s judo was the best team in Czechoslovakia. 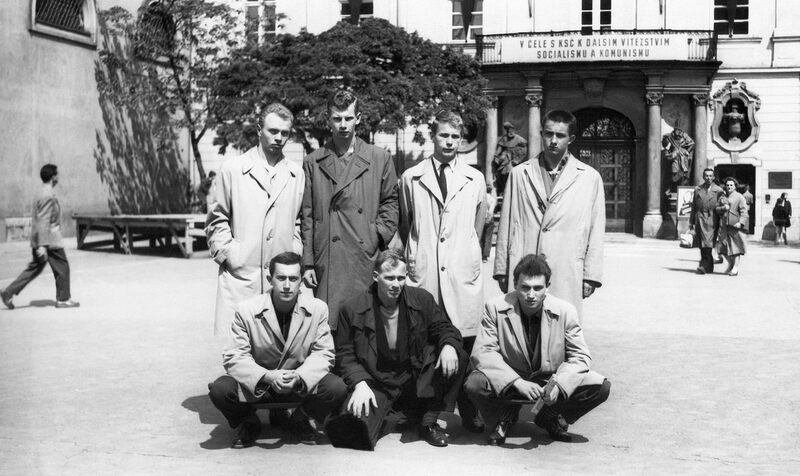 In 1968 in Košice took first place in the unofficial national championships. Kajo trained the women until he immigrated to Canada in September 1969. • There are three zones in stand-up combat. Each one is represented by a circle around the fighter. 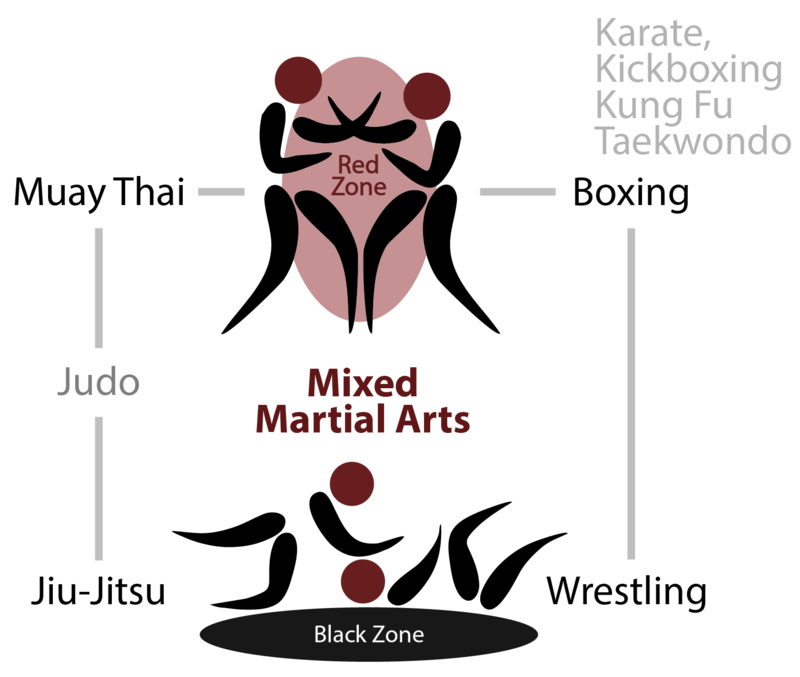 The largest is the white zone, where the fighter can’t reach the opponent with their fist or foot. The gray zone is where they are close enough to hit the opponent. The red zone is where both fighters are so close to each other it’s as if they’re fighting in a “phone booth”. Each fighter has different zone sizes determined by the length of their limbs. The gray zone is slightly wider for kicks than for punches because legs are usually longer than arms. Understanding your own zone borders and those of the opponent increases the fighter’s tactical advantage. • A fighting tactic is to force your opponent into a zone where they are most uncomfortable. One approach towards this goal is to understand the comfort zone of different fighting styles. For instance, a key difference between Karate (空手) and boxing is that Karate practitioners prefers to fight along the border of the white and gray zone. On the other hand, boxers and Muay Thai fighters prefer to fight between the gray and red zones. Fighting in the gray zone is often called, “the pocket”. Boxers will stay in hitting range and use footwork and head movement to avoid attacks while counter-striking. This gray zone tactic allows the fighter to quickly transition to the red zone where they can inflict a lot of damage. A Karate ka (i.e. Karate student) in the red zone is completely out of their comfort zone, whereas boxers are well versed in this zone. 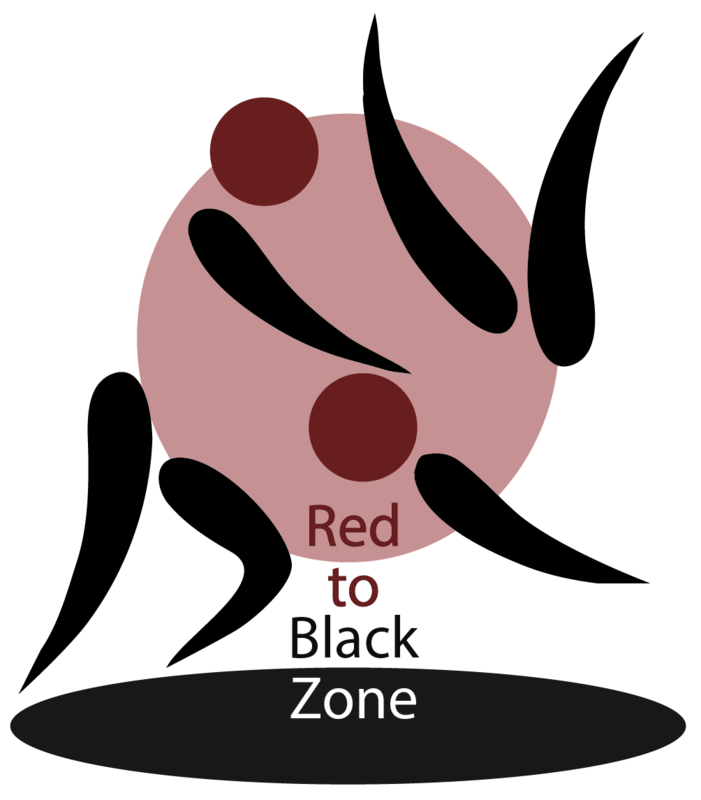 • A street fight can start in the white zone but quickly finish in the red zone, as if ignoring the gray zone entirely. A bar fight could start in the red zone and finish on the ground. This is called the black zone. It’s where Judoka, wrestlers, and jiu-jitsu fighters are experts. 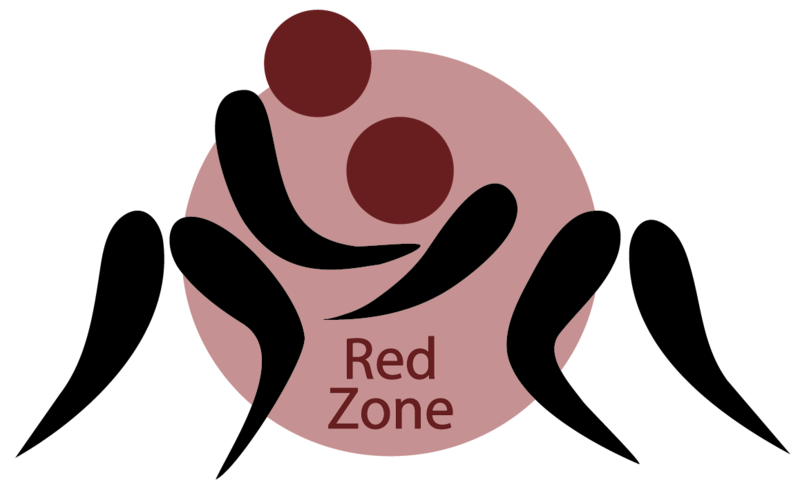 Likewise, transitioning from the red zone to the black zone lies in the expertise of judo, wrestling, and Aikido. • Strikers hate the black zone because it’s foreign territory. Likewise, grapplers such as judoka and wrestlers hate the gray and white zone because they’re not quite close enough to grab onto an arm or leg. Grapplers need to get a hold of their opponent’s limbs and take them quickly to the ground, where they can dominate. 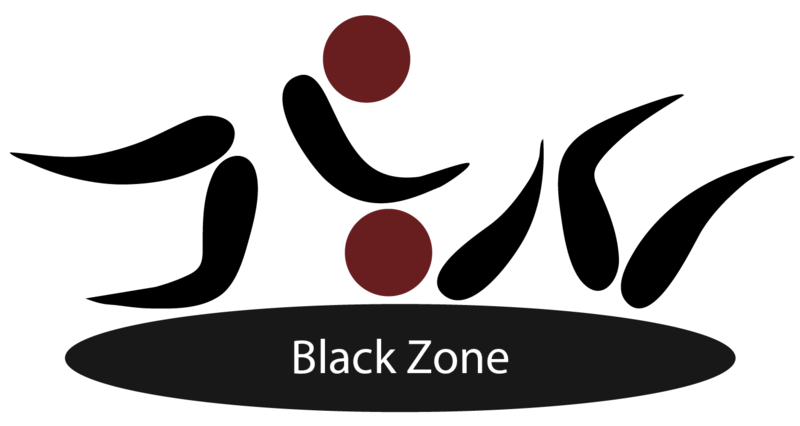 This may require transitioning from the white zone directly to the red zone – a wrestling technique known as “shooting”, such as “shooting for a double leg”. Fighters should avoid the zone where their opponent is strongest. If this is not possible then a tactical approach is to stay in the zone where they have a weight, or experience advantage over the opponent. • I trained in Shotokan (松濤館) in the 80’s, and also sparred with other disciplines like kickboxers, Taekwondo practitioners, and other Karate disciplines. We learned that each style had it’s strengths and weaknesses, but even then it was clear that a student of many disciplines would be very powerful. In February of 1988 Bloodsport was released in the theaters starring Jean-Claude Van Damme. His character Frank Dux travels to Hong Kong to fight in a martial arts tournament where the best from each martial art fight. In the martial arts community this movie fueled our debate as to which style would prevail. 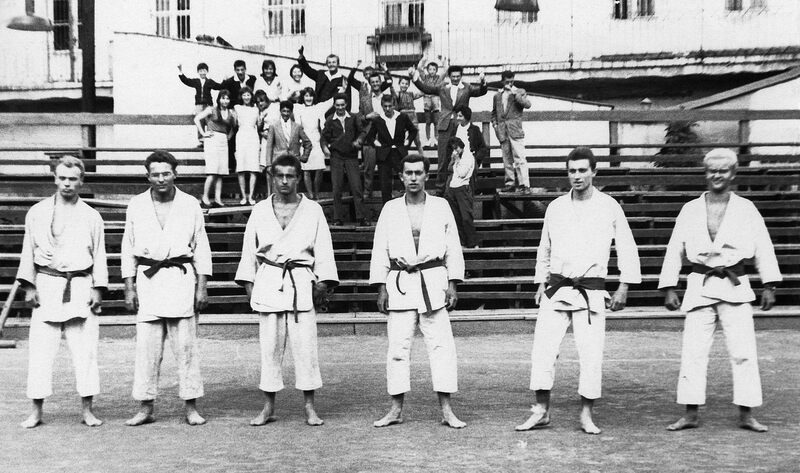 I came from a judo base, since my father and uncles were all back belts, so for me the debate began a generation earlier. Five years after Bloodsport, the UFC was launched in November 1993. 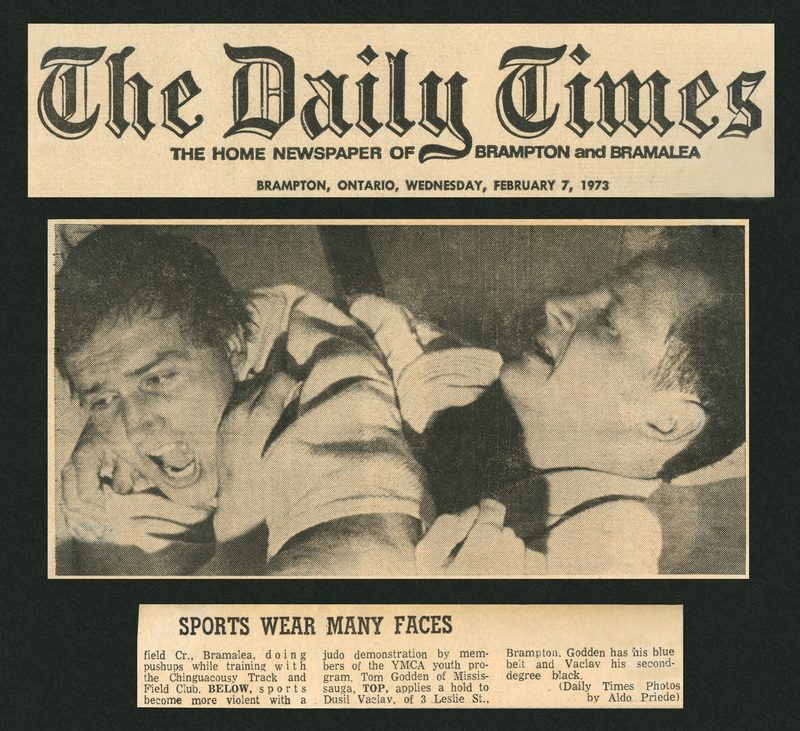 This was the first widely televised tournament to test the strengths of different fighting styles. In fact, it was the goal of the legend, Hélio Gracie, one of the founders of Gracie and Brazilian jiu-jitsu was the best martial art in the world. He went one step further and didn’t even send his best son Rickson Gracie to the tournament. Sending instead his modest looking 175lbs son, Royce Gracie. It was as if to send a message to the world, “I won’t even send my best son, and we will still win.” That was certainly the case, and the Gracie family’s name was indelibly stamped in Mixed Martial Arts (MMA) history. Boxing has dominated because of their ability to maneuver and attack with multiple striking combinations while in the red zone. Complementing this style is Karate, Kung Fu, Taekwondo, and kickboxing, partially for their ability to transition from the white to gray zone. Muay Thai extends the boxer’s arsenal by including three additional striking tools to boxing: elbows, knees, and feet (six if you count both limbs). Wrestling has its greatest strength in superior grappling and in maneuvering their opponents on the ground. Jujitsu has a rightful position in this four corners of MMA in their ability to “finish” the fight – either through breaking a limb, ripping ligaments, or restricting blood flow or oxygen to the brain. It’s worthwhile mentioning Judo in this mix of dominating styles because it sits nicely between Muay Thai and Jujitsu in transitioning fights from the red to the black zone. • There is common theme among these four disciples in how MMA has evolved over the past two decades. It also answers the ultimate question of which fighting style are the most dominate – there isn’t just one – there are four styles that dominate: Boxing and Muay Thai have proven their expertise in the red zone, while wrestling and Jujitsu have shown the same in the black zone. Expertise in all of these disciplines is the foundation of the ultimate fighter. 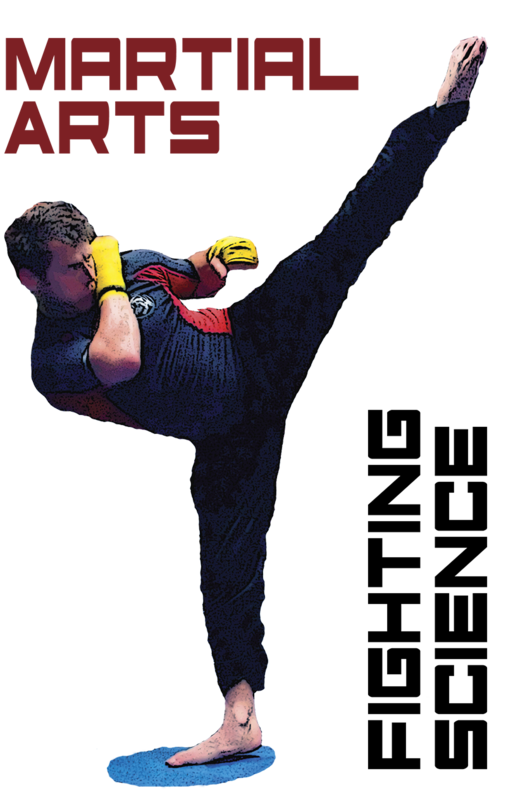 Gabriel Dusil has been a practitioner of Martial Arts for over twenty years. Originally he trained in the traditional style of Shotokan Karate. Gabriel has also trained under the expertise of Sensei Martin “Sonic” Langley in the United Kingdom. More recently he has focused on circuit training, conditioning, Brazilian jiu jitsu and kickboxing. Gabriel teaches both children and adults at the Ferus Fitness Fight Club, fffc.cz. • In this Martial Arts • Fighting Science paper we will discuss the psychology and physiology of fighters in combat. This first article investigates the changes in entropy when two opponents fight. Entropy is the measure of “order” in a particular system. In the context of fighting, low entropy means a high level of control. High entropy means low control or high disorder. The exchange between two fighters can be a series of punches, kicks, elbows, knee strikes or even grappling on the ground. • During a fight the level of entropy increases. 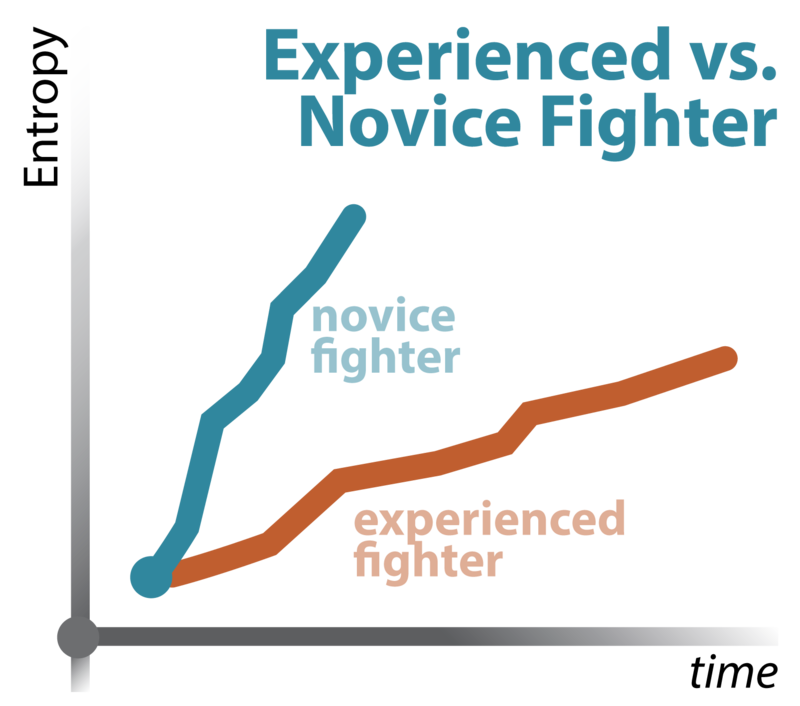 In an exchange each opponent has their own “fighter’s curve”. We can visualize this curve in a graph where the y-axis represents entropy, and on the x-axis is time. The longer it takes for an exchange to take place between two opponents the higher the entropy. In other words, both fighters lose some level of control in an exchange. But the rate at which the fighter loses control depends on their experience, technique, “heart”, strength and conditioning. • Novice fighters are very uncomfortable at high entropy. 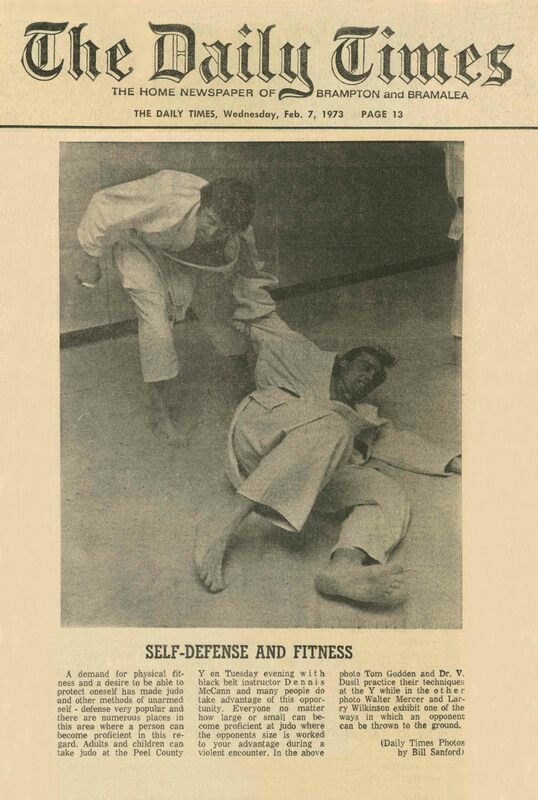 Martial artists that focus on self-defense also have little tolerance for high entropy. In self defense disciplines, the defender wants to block and strike the attacker. Once that has occurred then they anticipate the end of the fight. Their entropy curve is sharp because a long exchange of strikes is not desirable. Kickboxers or boxers, on the other hand, have a shallow fighter’s curve. They are comfortable with a flurry of combinations, and will even stay in striking range for long periods of time while simultaneously blocking, moving, and counter-striking. • The problem escalates when a fighter’s curve passes a threshold where they no longer know what’s going on. 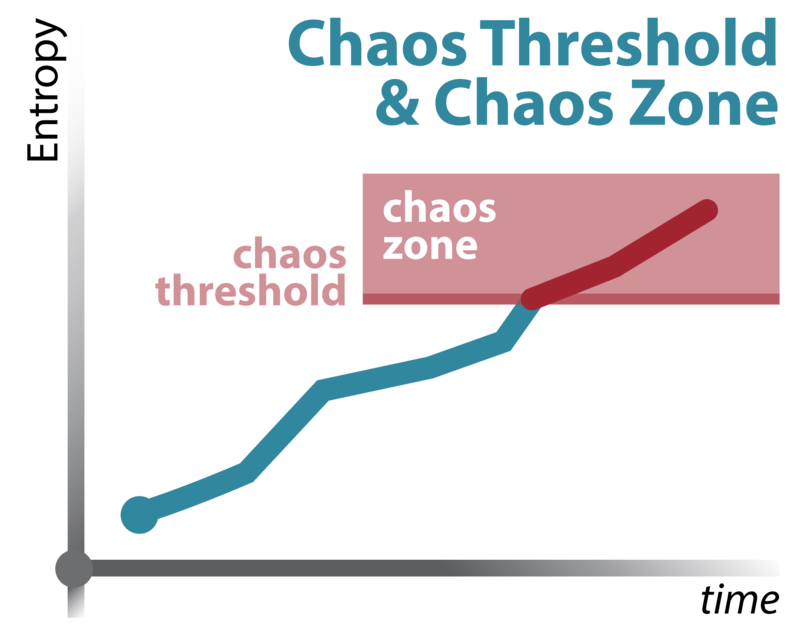 This is called the “chaos threshold.” High entropy can eventually lead to chaos – especially for inexperienced fighters. In this zone a fighter has lost complete control and tries to survive mainly through instinctive reactions. 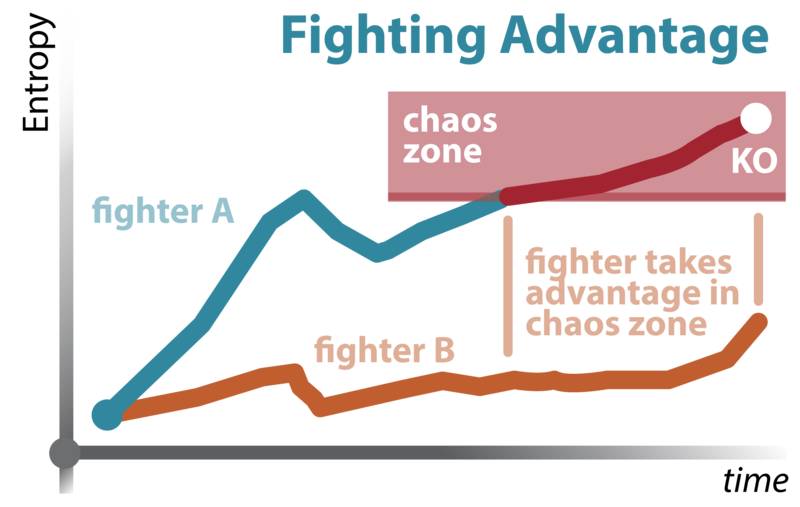 Once the fighter passes the “chaos threshold” they enter the “chaos zone“. In the chaos zone the fighter is most susceptible to a knockout or sever injury because they’re no longer completely aware of their surroundings. Fear easily takes over in this zone, resulting in the fighter closing their eyes and cover their face. 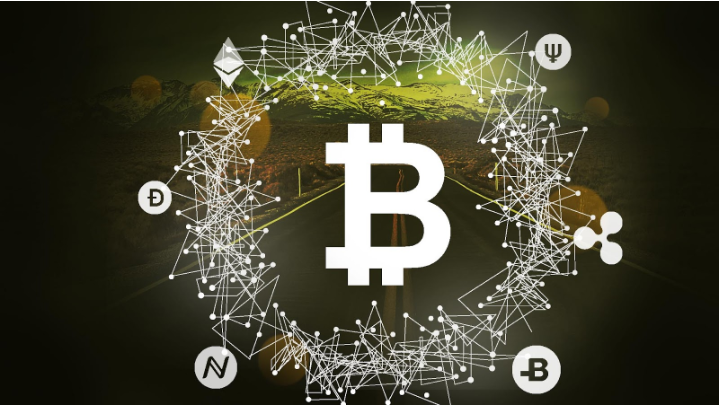 In the chaos zone technique, timing, and power are significantly compromised. With the onset of panic the fighter may “turtle” (enter a fetal position). • Fear also causes a fighter to hold their breath – either when being attacked, and even when attacking. This accelerates exhaustion because the lungs and muscles are deprived of oxygen during the exact moment when needed the most. I often tell students that if they hold their breath during a fight they will succumb to exhaustion four times faster than if they breathed during each exchange. The physiological reaction of holding your breath results in a sharper fighter’s curve and a quick entry into the chaos zone. When the muscles are starved of oxygen then exhaustion is accelerated and the body becomes paralyzed to attempt any counter attack. • Experienced fighters learn to keep their eyes open even in the most fierce circumstances. Eyes need to stay open during an attack because the fighter has the best chance of survival if they see all strikes coming. Many knockouts occur because the opponent didn’t see the attack. If their eyes are open, then the body instinctively prepares for impact. Learning to keep your eyes open while being attacked help to create a shallow fighter’s curve. 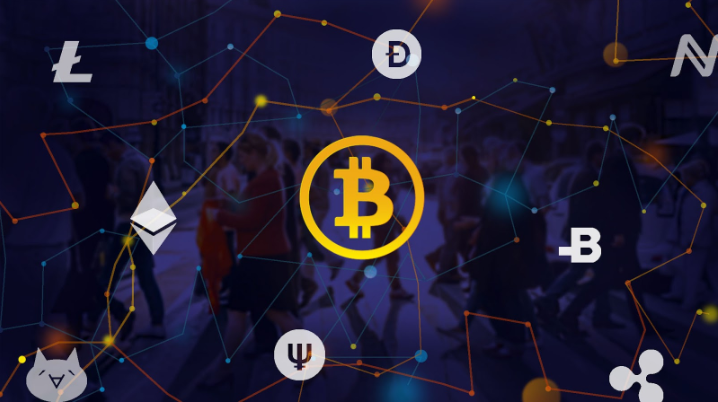 • A fight is typically a cyclical series of exchanges: movement, exchange, separate, movement, exchange, separate, and repeat. These exchanges may be on the feet. Or on the ground where attacks involve breaking a limb or cutting off oxygen or blood to the brain. Once this happens then the opponent goes “to sleep” (Fight-speak meaning that the brain is deprived of oxygen resulting in the fighter going unconscious). A fight could very well finish on the first exchange. • At the beginning of a match the fighter’s curve is zero. Throughout a fight the entropy level will never completely return to the same point as the beginning of a fight. This is due to the increased heart rate and less oxygen supplied to muscles as a fight progresses. Exhaustion also leads to a decrease in reaction time to an attack, as well as when attacking. Fear and panic also can contribute to preventing a return to low entropy. Strength, conditioning, technique, experience, and the fighter’s “heart” all help the fighter’s quick recovery to low entropy. Two fighters with equal talent and experience will be differentiated by “heart”. The fighter that has a higher determination to win will have the a psychological advantage. • Furthermore, a fighter that keeps their cool in an exchange can capitalize on an opponent that has lost their senses (because they have transitioned into the chaos zone), and has begun to panic. Once an opponent enters their chaos zone, then they are the most vulnerable, and a quick finish could be imminent. 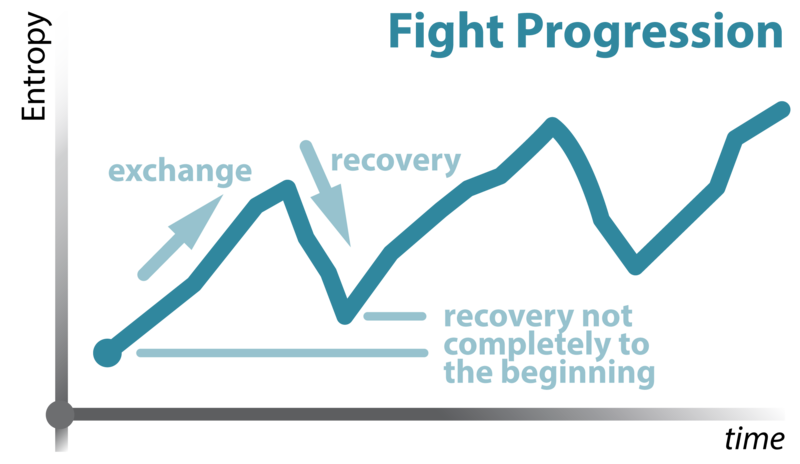 • Recovery from high entropy (or from the chaos zone), is for the exchange to finish so that the fighter can regroup and collect their senses. This returns the fighter’s curve to near their starting point and more importantly takes the fighter out of the chaos zone. 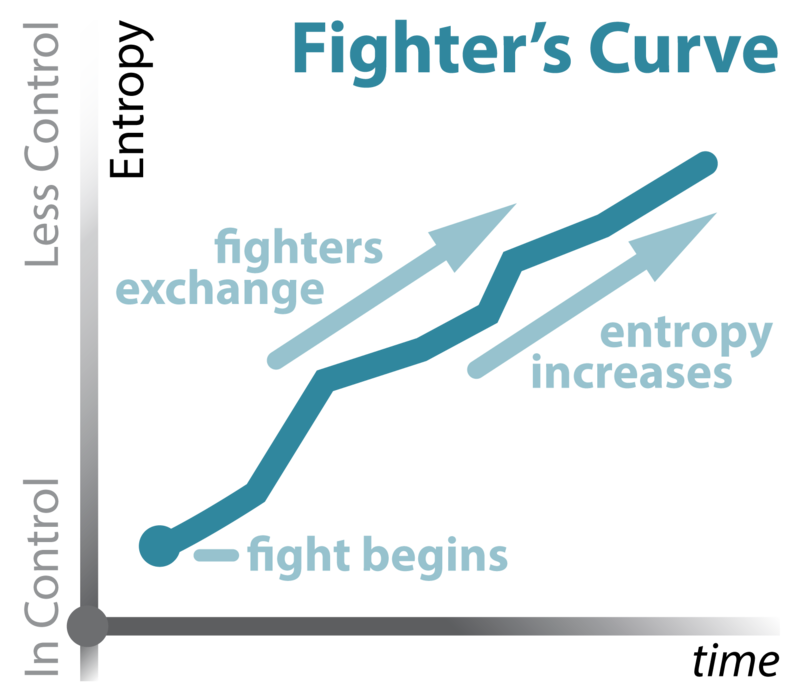 The trick is to have a fighter’s curve that is gradual on the exchange and then sharp on the recovery. If the fighter feels comfortable during an exchange then they will remain technical in their offense and defense while simultaneously keeping their composure. Recovery from high entropy is quicker if the fighter is conditioned. If the fighter is not in shape then recovery to a lower controlled state is much slower as the heart rate struggles to return to normal and oxygen is replenished in the muscles. 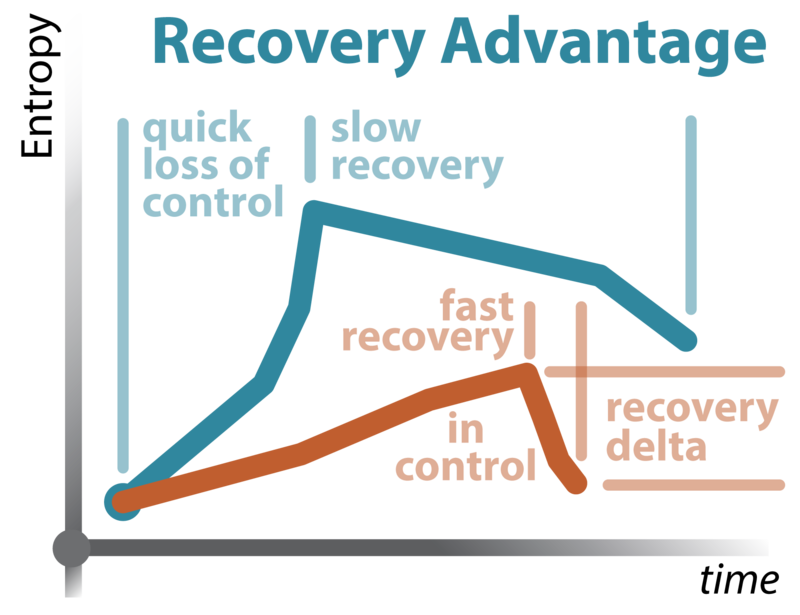 There is an added benefit for experienced fighters: Quick recovery to low entropy is more efficient since there is a much smaller recovery delta, when compared to an inexperienced fighter.